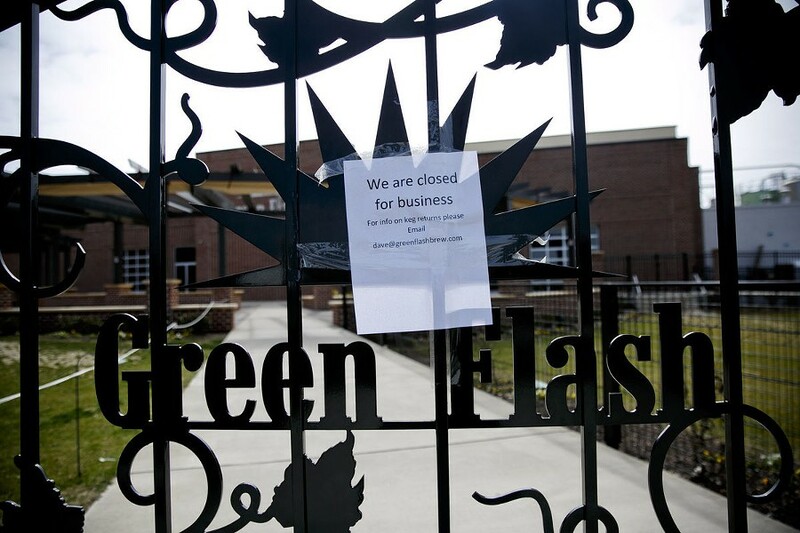 Green Flash's brewery in Virginia Beach has closed, and according to a news release from CEO and founder Mike Hinkley, the company will stop distributing its beer to the East Coast. Hinkley confirmed that the brewery did not open Monday, and notices taped to the gates outside the tasting room and beer garden read "out of business" with instructions on how to return kegs. Any mention of the Virginia Beach location had been removed from the company's website by Monday afternoon. Green Flash opened its 58,000-square-foot brewery and taproom off General Booth Boulevard in November 2016. It had plans to put out 100,000 barrels each year. All the Green Flash beer sent east of the Mississippi River was to come out of the Virginia Beach brewery. The company will now focus on its roots in California, the news release said. Green Flash also owns Alpine Beer Co., which will also stop distributing its beer to the East Coast. "Over the past two years, the company has been under significant pressure due to the cost and complexity of bicoastal operations," the release said. It went on to say that the company will now focus on breweries in Arizona, California, Colorado, Hawaii, Nevada, Texas, Utah and Nebraska. The company announced "a transaction involving a new investor group" in Green Flash, though it did not name the investor. Ending East Coast distribution and closing the brewery means the elimination of 36 jobs at the brewery and seven sales jobs, according to the release. "I hope another brewery will move in and operate this wonderful facility with and for the people of Virginia Beach," Hinkley said in the release. Jerry Miller, the CEO of Miller Group, which owns Green Flash's Virginia Beach facility, told The Pilot Monday that the brewery stopped paying rent after January. He said he sent a notice of default. Last week Green Flash's lender, Comerica bank, started paying the rent but not the backpay that was owed, Miller said. Now Miller is in discussions about what will happen next – whether another company will move in, or if he'll buy the equipment himself and hire someone to run a brewery there. He said he's gotten a lot of interest from local and national breweries over the past few days. On Saturday, all the brewing equipment – essentially everything but the building and the land – was listed for sale online.